Her tribute is too adorable. BTS was honored as one of TIME’s 100 Most Influential People, and Halsey wrote a touching tribute in their honor. 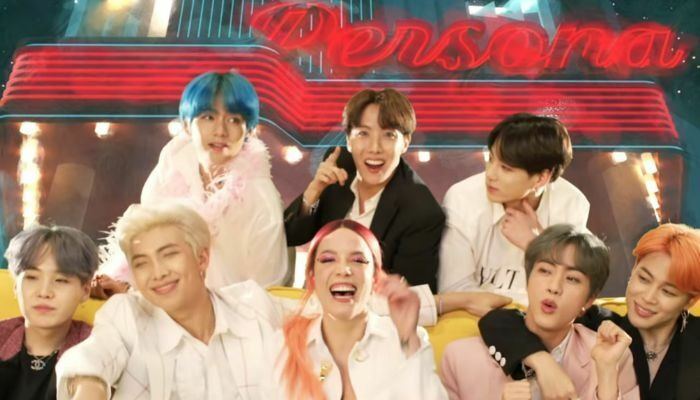 Halsey recently dropped her collab with the group “Boy With Luv,” which was the most-viewed debut in history for YouTube. She’s previously gushed about working with BTS, so her loving words for TIME are no surprise. “Behind those three letters are seven astounding young men who believe that music is stronger than the barriers of language. It’s a universal dialect,” she said. You can read the entire thing here, but get ready to shed a tear or two at Halsey’s touching writing. Also, if you haven’t seen the record-breaking “Boy With Luv” video yet, you can check that out below. If you haven’t already, you can check out the track’s official music video below. In other news, Halsey recently joined Khalid on the Coachella stage for a performance of “Eastside” which you can see below. Halsey performou “Eastside” com Khalid e Benny Blanco no Coachella. What do you think of Halsey’s statement about BTS? Sound off in the comments below!